Antiques series. The team returns to Rochester Cathedral, toasting the festive season with Napoleon's drinking glass. Browse content similar to Rochester. Check below for episodes and series from the same categories and more! setting for Charles Dickens' last novel The Mystery of Edwin Drood. roughly the number of characters in the average Dickens novel. And let me show you something else that's very interesting that I've found here. Have you ever wondered why a cathedral is called a cathedral? It sounds so grand and yet it all boils down to a chair, admittedly a very grand one. The Latin word for this impressive object is "cathedra"
and apparently the purpose of a cathedral is to house the bishop's seat. I would ask John Bly to value it, but he's busy in the nave with the rest of the experts. -Well, it's a bit rough isn't it? -It's been in the shed for two, two and a half years. So tell me the story behind it. -I wanted to buy some more practical furniture, some chest of drawers. -for the chest of drawers and the chap sort of threw this in as the bonus. "That is my best price but I'll give you this sideboard." we can't leave it there... but that starts to make it look something. this was, when made, an extremely expensive bit of furniture. This cost a lot of money. and these doors, I mean look at this! Look at the depth there. It's like a vase, it's three-dimensional this thing, fabulous, fabulous. and its time was 1860.
so they put the keyhole in a secret little opening round the side. -Fantastic quality and a waste of huge amounts of material to make it. -Trays in one end, cellaret here for the wines. -Yeah, you put ice in there. Or beer, if you like, I don't mind, but that's what it was for. You don't need to do much to this. I mean, it wants mending and it wants nicely, lightly cleaning. Oh, that certainly is good news, well thank you, cheers. You'll go back to that shop again. -Can I ask you, are you a wonderful shot? -No, not at all, no. -Are you a great countryman? Your family? No, nothing like that? in your collection, if you don't shoot or like the country very much? -Well, um, my dad, his step-father was a bricklayer. And he done a job for somebody. my dad's stepfather these as part payment for the job. -Do you know what the debt was? -Yeah, probably about that, yeah. So tell me, do you like these pictures? Er, I think they're OK, I mean I'm not a big fan of paintings really. Do you hang them in your house or do they sit under the bed? No, my mother hangs them in her house. -Up until ten years ago they were just wrapped in brown paper. and they've been on our wall for about ten years. -Do you know anything about these works? was the greatest of these naturalists called Archibald Thorburn. almost photographic portraits of birds. Now there is a big hierarchy in purchasing of birds. a thrush...not so easy, a starling - not very commercial, but game birds are always commercial. so we have three fantastic works by George Edward Lodge. What do you think, probably painted around 1900-1910? So they've got a bit of age to them, so let's look at the top one. and then below, we have two pictures of pheasants. Have you any idea what you think they might be worth? Er, no, not at all. OK, so if I gave you £1,000 for the lot, would you be happy? I think they're absolutely wonderful. I would say they were worth between £1,500 and £2,500 each. -So even by my maths, that's quite a lot of money. -or maybe a big debt. You've made a big investment, so congratulations, enjoy them. Now although this looks like a fantastic radiogram, I actually know it's more than that, as you do. Now let's see what we've got here, let's open it up. So what appears to be a radiogram is actually much, much more. -Because we've got the gramophone, we've got the radio. But most important, here we've got the television. like so many people of my generation, in 1953 watching the coronation. -When do your television memories start? -so I would think in the '40s, mid '40s, late '40s and onwards. -Right, was this working then? brand-new in Harrods and he paid 101 guineas for it. -He was married in 1936 so it was to actually celebrate my parents' wedding. Right, so in a sense it was like a grand celebration of a great occasion. -Do you play the record player? My father was always playing opera there, Edmundo Ross, Caruso. -So Elvis was played on here? It's only a 78 gramophone? -Maybe we should look a bit at how this works. rather than having a hugely deep cabinet behind, and so you'd sit over there, as I imagine you did. -And you'd watch it in the mirror. -I've got something to show you. -Thanks to the wonders of the internet. -Here is the catalogue of this particular machine. "six-valve, four-waveband radio receiver and automatic gramophone". -And it had the wonderful title of the "Marconi Phone Mastergram". Marconi were pioneer television producers, there were others. but in 1939 there were about 19,000 televisions in Britain. so your father was a real pioneer. Now what this also shows, tells us, is that it cost 120 guineas. Yes, I thought he said 101 but it could have been 121 or something. -So that's what it was. -So it was a very, very expensive thing. I mean that was the price of a car. -in equivalent terms of about £6,000 or £7,000 or even £8,000. It was very, very expensive. Now I gather that this is a very rare machine. -about four or five of these known. Now when it was new it cost 120 guineas, or £5,000 or £6,000. Well, things have changed. In a sense this is useless. You can play the radio, you can probably play the gramophone. You'll never watch the TV without fiddling with it beyond reason. I think a collector's going to pay somewhere between £3,000 and £4,000. -So not quite what it was worth when it was new, but getting there. -No, no, well thank you very much. -William Stephen Coleman, W S Coleman, and it's dated 1905. -He was a very interesting artist because he started life off in training as a surgeon. -And he turned to art and both his sisters painted as well. -He also worked for the Minton factory designing, er, designs for tiles and pieces of ceramic. -Beautiful designs, and I'm very used to seeing his oils and watercolours which are of Egyptian girls. -Young girls, some Roman scenes with marble, very Classical. -So he's quite a prolific painter? -You see a lot of pictures and a lot of prints of his work, there are a lot of reproductions. When he does something like this, these country garden scenes, they are superb. -There's a lot of detail. -well you've got irises here, you've got poppies. So soft. He's very, very like Birkett Foster in some ways. -But actually almost more loose and impressionistic. Have you ever thought what it might be worth? Um, I must admit the thought has occurred to me but, I mean, I have no idea. I mean that would make at least £3,000 to £5,000 at auction. -Yeah, and maybe £4,000 to £6,000. It's a really, really good image. -Everything good about him is in that picture. So you want me to tell you what it says on here I expect. I hate to disappoint you, I can't. -certainly related to the scene we see on this side. I guess some sort of a romantic story from their book on this table. -Do you know approximately what sort of year it is? -Yeah, it's about, it's about 1860 but you can date it almost from the style of the painting of the faces. That's a really good clue and then these under-glazed blue borders. It's a nice little teapot and I want to know, do you actually use it? -No it sits at my mum's still, on top of the wardrobe. -Do you, do you go for picnics? Yes, but I wouldn't take something like that, no. -Too scared of damaging it. Because my grandad brought it back from the Navy. -It's something he really sort of looked after, my mum wouldn't sell it, I wouldn't sell it. It's something that will stay in the family. -But it is a picnic teapot. -Yeah, well you've got the original padded box. is almost better than the teapot itself. They've even left a little nozzle for where the spout of the teapot sits. and it sits nice and snugly in this lovely little wicker basket. It's basically a sort of 19th century thermos. -An age-old design, it's absolutely timeless, it's a nice object. Well, the teapot on its own is really actually not worth that much money. probably worth somewhere between £100 and £200. Right, yes, I wouldn't sell it. -Time for a brew up. -Yeah, yeah, I'll see if she wants to take it on a picnic, but I don't think she will. it has only three members - Simon Bull, David Battie and Roy Butler. they're the only experts who've been with this show in every series since it began 30 years ago. as an art expert, you did a very respectable 25 years. I remember the beginnings, that first series. We were making it up as we went along really, I mean we just didn't know what was going to happen. Would anyone bring anything in? What would they bring in? You were a very young expert. to my daughter who's seen the footage. "people would take me more seriously as an expert" and now it's a different story. Between £200 and £300 now at auction. so in that first series we were giving more people very happy and pleasant surprises. And what was it about the show that kept you coming back year after year? Apart from being asked. they were such a wonderful mix of characters. who brought an L S Lowry in, in Manchester. and I took it and that's how I acquired it. because the car repair had fallen off the next day anyway. So all's well that ends well. What's your own personal favourite find? but I suppose one particular one sticks in the mind. It was at a north London Roadshow. he was an American guy - and picked up a picture his father had left him. and when he brought it in and I was able to tell him, he was absolutely flabbergasted. Down in the corner here we've got this signature here. Here we have the most important Japanese painter in a Western style, of this century. How can I put it? I think you should probably insure it for £50,000. who would probably pay you even a bit more for it. -He's the most desirable name for Japanese collectors. -That's the best cup of coffee I ever had. and he said, "Want to marry me now?" a very simple ring, almost like a wedding ring. Is it a wedding ring from your point of view? What's the story behind it? -and she just opened her hand and there sat this ring. -who might have owned the garden, going back a few hundred years? Originally it was a cherry orchard, before we had the bungalow put on it. And what have you done with, with the ring since? -and they said it would be about £7. "Well, I might as well wear it." If they said £7, first of all did they tell you what it was made of? -So from your own point of view, this is the first time anyone's seriously studied it. slightly more interesting about it. It is in fact an old mourning ring. base metal, but of course it's very high carat yellow gold. So that's the first good thing. I can see right into the hoop itself and there is an inscription. In other words we've got a ring here that is nearly 300 years old. a blue stone and it is not contemporary with the ring. What's the story there? Do you know anything about that? and it was like crystal and it fell out and I couldn't find it. -but often contained a little lock of hair underneath. That's dropped out and a jeweller's put this blue lapis lazuli in. so it must have been really small. I think it's probably worth something like £300 to £400. Now that was a good find. And I used to wear it. and this is your cathedral, so tell me how they got here. amazingly, the cathedral employed six militia men. Those militia men were kitted out with muskets and swords and they were told to keep the peace. -of what they were equipped with. -And these were found recently? -They were in the crypt. We don't know when they were found in the crypt. They've been passed on to the museum who look after them for us at the moment. Let's look at them in a little bit of detail and talk about them. -you see it's got masks. I don't know if you can see. That's supposed to represent the severed head of King Charles. -And that's why it's called a mortuary hilted sword. I think this has been put together. -I suspect, in the last 50 to 80 years. and it's certainly mid-17th century. because actually this is more interesting. is as rare as hen's teeth. from the Civil War period, and they're incredibly scarce. They would have been used. in battle I suspect. You mention six militia men who were here during the Civil War. these very weapons that were found in the crypt. But cathedrals were used for many things, and what was the cathedral used for during that Civil War? but I suspect they might have been in the nave. -Now, as a matter of interest, you've got them in the museum, do they have them insured? OK, they need to have them insured for quite a substantial amount. Are you going to tell me how much? Well, I saw three or four muskets like this selling at auction last year, made a lot of money. -So let's start with the sword. The sword you should insure for £3,000. -I hope the museum looks after them well. especially in the light of what I now know. A rather battered box, what have you been doing to it? Well, that's how it came to us. nobody would take the shoes and they wouldn't find the box. -So there aren't any shoes in there? -No shoes in there, have a look. what you've got is this fantastic fitted flatware service. Not its original case. So when did it come out of Russia? -I'm thinking, I don't know. that ended in the late 19th century. So it has to have come out of Russia before the Revolution. -So we're looking at the Victorian period. But it is quite an amazing service. It's not unusual to come across Russian spoons like this. because we've got this decoration here which is known as niello work. with that decoration. What you see as black was carved out. and they fired that in, but the whole surface then would be black. and that left the black as an infill. So let's have a look and see just what date we're looking at, 1837. It's earlier than I thought, mmm. -because Saint George was the patron saint of Moscow. And we've got really everything going on here. These knives are interesting as well. -but that is not a Russian blade. And what you see there is "Savory"
so they were re-bladed when they came to England. -Probably because the original knife blades were already worn out. Does that detract from the quality, the fact that they've been re-bladed? Not really, so many knives are re-bladed at some stage. the absolutely original knife, but to get Russian knives like this, is so unusual. because odd spoons do come on the market. -but of course the Russian market is a very good market at the moment. pieces like this. I mean, this is absolutely right for the market. -..because of the Russian market. with so many people claiming connections, but yours is impressive. I think I can claim the best one ever. Francis Atterbury, Bishop of Rochester. so it's co-lateral, not quite, but it's a pretty good claim I think. -Yep. Well, he was actually quite a guy. He was born in the 1660s. He was a cleric all his life. He became Bishop of Rochester in 1714.
and then he got into trouble, as you might say, by backing the wrong side. He became a Jacobite, or he'd always been a Jacobite, and he was seen as a rebellious cleric. and whether I've inherited those traits I don't know. -You've certainly inherited something - very noble hooter of the Atterburys there. -Let's be honest about it. -The Atterbury hooter, very distinguished. and she always used to say "that street is named after your..."
as full of convivial and sprightly characters as any Antiques Roadshow. With that, let's wallow in seasonal nostalgia as we welcome the cheerful ghosts of programmes past. and he's been looking after our Christmas trees, as a family, for 90 years. -And was he used this Christmas? and he's dressed in what would have been a bright red coat. -..than what it's faded to now. in England, and I think it was 1849, late 1840s. are a wonderful mirror of what the Victorians thought about it. with pierced paperwork, fantastically complicated in their technology. -But this is anything but. and that makes it really quite an interesting doll. Now, these are the most desirable sort because here we have a church saying "Happy Christmas". you pull the ribbon, and it animates - it all comes to life. and inside the children praying, as a wonderful image of Christmas. I mean they range from £5 to £15 but that's completely irrelevant. but it's not the money, it's what it represents about Victorian life. -and a little figure like this could easily realise between £800 and £1,200. -And in the right sort of venue. -We'll keep him in a parcel rather than putting him on the tree. We have it hanging at Christmas. -Just every Christmas I can remember, we just bring it out. -So you treat it like a Christmas decoration? It comes out with the decs at Christmas. I know. That's extraordinary. If I owned this, I'd want to look at it all the year round. About 20 years I think. My husband actually bought it from a book dealer in Edinburgh. how much they loved having it in their family, and we hope we get as much pleasure in our family. -It's obviously a watercolour that's charm generates that kind of personal interest, doesn't it? -Yes, so do you know about the artist, Kate Greenaway? didn't she paint a lot of children? just caught the features of her face and her lovely eyelashes, it's beautifully done. -it was bought from a book dealer because it's possible that this was a book illustration. And then again it occurred to me that it might even have been a design for a Christmas card. -Yes. Well, we actually had a Christmas card made. -For ourselves, and sent it out. -In my opinion, it's worth at least £6,000 to £8,000. like a Napoleonic wine glass. So what's the story? but I've tried to find out about this inscription and had no success at all. -Right, you don't know where he got it? -where he got it from. -So he wasn't a friend of Napoleon's? Well, let's look at the evidence here, what have we got before us? We have precisely Napoleon's cipher. -That's what it looked like, that's absolutely correct. We're talking about a piece of exactly the right form and date. We have a nice coin-disc foot, star-cut base. We have hexagon facets up the stem, solid bottom bowl. -Weighs a tonne, doesn't it? -It is quite heavy, yes. Heavy lead crystal. Yeah. What do you think a glass like that was used for? -You wouldn't drink out of that, would you? -Wouldn't get enough in there. Not enough in it. So it was for toasting. conformed to the etiquette of the period which was that you didn't have the glasses on the table. -and come back, that's why it's so small. his little wine glass, perhaps the most fragile thing around him, has survived to the present day! and if it sailed past £5,000 I wouldn't be at all surprised. What a nice man you are. Can't help it. Born like it, gal. and I asked him if we could borrow one of their candles and he's very, very kindly obliged. But before I get all romantic over the candle, you tell me about this tea service. -to one or two places and I wanted to know really where it was made. A name for it. We're more worried about the provenance than the value. Your provenance, your own family, you've been using this as a tea service. -You haven't been using it? -It's on the wall on shelves. are damaged or imperfect in some sort of way. -That's why we had it. -So somebody obviously enjoyed using it. And maybe were a little bit rough with it. Maybe there wasn't enough light where they were using it. and so things got a bit chipped. -Do you know how old the service is? -and he bought it, he didn't inherit it, and he was born in 1872. This is going to be earlier than that. in one of those television dramas about young women, usually by Jane Austen. when the light was low and when the candles came out. -to that late Georgian desire for brilliance and sparkle. then it really does show off in a way that the other colours don't. The essential idea of this is Japanese. -are what the Japanese would recognise as heraldic devices called "mon". you can see that characteristic dark blue...rather soapy texture. -No marks. I've been through every single piece. So we know it's English from the actual colour of the paste. I think this is by a Coalport factory. -Yeah, and of course you know the name. Coalport's one of the great names of English porcelain. in around the 1820s. This would be state of the art, very expensive, high fashion, high taste. -and today you could probably buy a service like this for under £1,000 at auction. -..the verger let us use one of his candles. to the verger, and thank you for bringing this huge service in. Thank you for all that information, Lars. I can't believe that two such diverse pictures have been brought in by one person today. Now, how come you've got these two very different pictures? it's been his lifelong hobby collecting antiques and particularly paintings. He goes to the big auction rooms and purchases and, er, gets catalogues of things. He's down-sized from a bungalow to a flat and he just lives in a room. maybe what we like, if he doesn't want them to be put up in his room. and this was one of them that's always been on the wall which I really rather like. The first one up here is really interesting because in fact it's Dutch. It's by an artist, or attributed to an artist, called Van Brekelenkan. I'd catalogue this as "circle of this artist". In the 17th century, the Dutch were very, very keen on doing interior scenes. very good detail on here. and also it's had the split in the panel, but it's a nice painting. When we come down to the bottom here and we've got a 20th century picture. -And I'll just tell you about Munnings. Munnings is actually one of the favourite artists of mine. -He is very famous for painting horses, he was an equestrian artist later on in life. He was born in 1878. This is 1908 and it would have been painted when he was 30 years old. -But really lively painting and you look at the way that he gets the blossom on the tree. And just a few brush strokes to get the water, really positive. some of the original designs and then... He was a genius really. and gave a very famous speech in the '50s where he derided modern art and he was not a popular man. We have to come to values now. somewhere in the region of, er, £3,000 to £5,000. The one down here is absolutely sensational. -I know that this is worth £20,000 to £30,000. -I thought the top one would be the expensive one. and make £30,000 to £35,000. It's a really lovely picture. to know that... He bought it in memory of his mum and he'd be so thrilled. between the Roadshow team and Rochester Cathedral. and assorted members of the choir. and he wasn't much of a singer either. and from Rochester in Kent, goodbye. 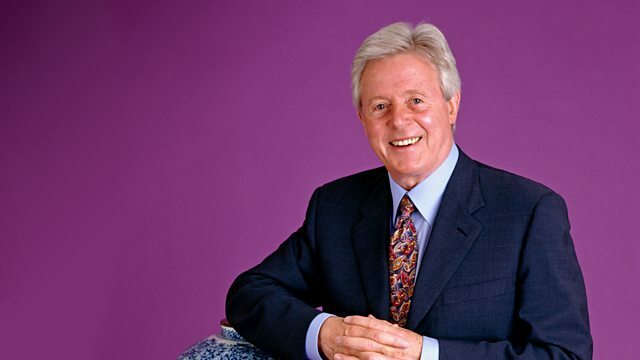 Micael Aspel and his team of experts pay a return visit to Rochester Cathedral to examine more local heirlooms. They toast the festive season with Napoleon's drinking glass, and uncover a very early piece of television technology.